People join Burn It Fitness for many different reasons and as cheesy as it sounds, it is a “family” as no matter why people chose to attend classes, nobody judges/questions that reason and fellow members offer encouragement to ensure other members enjoy the class and come back to fulfil their personal challenge/goal. "I come to Burn It 2/3 times a week so I can eat chocolate and keep the middle-age spread from spreading too far and wide!" Paul has asked me a number of times to write my “success story” but to be honest, I don’t feel like I have done anything majorly spectacular of note so always ignored his request… but he is a persistent bu**er so I noted down a few words to keep him happy. There are a lot of Burn It Fitness members who I am very proud of their achievements and I have enjoyed watching them flourish over the years. It has been amazing to see Members take on the challenges of Marathons, Triathlons, 10k’s, weight loss, finding tools to help with mental health issues and generally, finding their fitness and wellbeing mojo. I have been a member of Burn It Fitness for many years….not going to admit how long as many of you may then question why I don’t have the body of an athlete and not be able to run like Usain Bolt!! For me being a member of Burn It is simple and basically the slogan on the back of the hoodies: Fun, Sociable, Outdoor Fitness. The gym – (absolutely hated being in a stale sweat smelling room queuing to get on a machine while big muscley men ogled themselves in the mirror holding weights). Bodystep – (had an embarrassing incident getting too enthusiastic jumping on the step in a full class). For me, the style and format of Burn It just clicked – I enjoy being outdoors no matter the weather (my job is office based so the blast of fresh air is welcome), I enjoy the variety a class offers (mix of body weight, running and core) and I need the motivation of an instructor to keep me going. The biggest thing for me is the social aspect, I enjoy catching up (maybe a bit too much for the instructors liking) with the other members each week and I have made some lovely friends through Burn It. I am never going to run a marathon or do a Triathlon but since joining Burn It I have completed a 10k (hated it and never again…reinforced that running is not for me! ), took part in the EMF relay with Burn It (enjoyable enough), completed the half Tough Mudder (loved it), then a full Tough Mudder (absolutely loved it) but I can’t say I have a burning desire to do anything else. I come to class two/three times a week so I can eat chocolate and keep the middle-age spread from spreading too far and wide! The instructors are great and I do think they know what each member is capable of doing so they will push people to their individual limits. I have never been made to feel anything other than encouraged to hit my own goals….yes, they do challenge those goals but in a positive way and I can hand-on-heart say I thoroughly enjoy coming to class and actually hate missing a week. I will continue to come to class each week and my weight with flutter up and down slightly as I do enjoy the sweet things in life but I feel the sessions help me stay fit and healthy both physically and mentally. 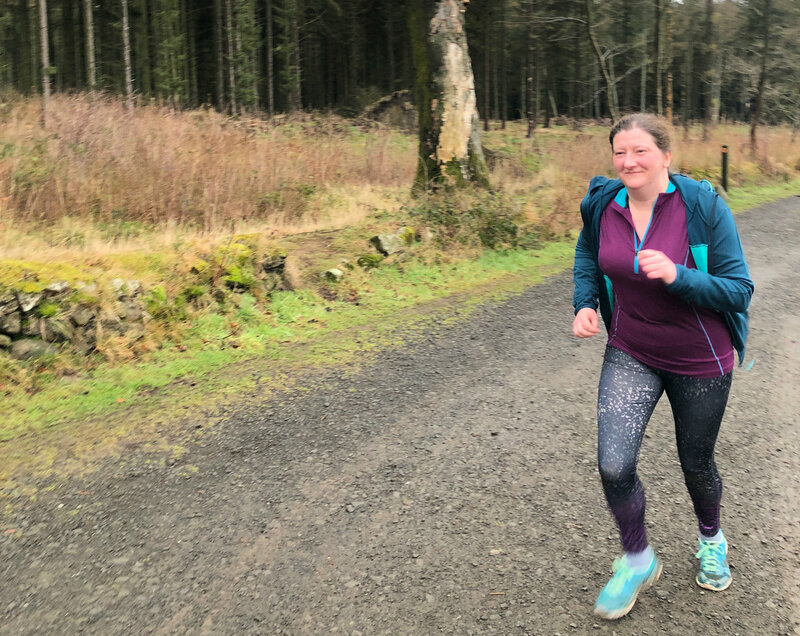 No inspirational messages from me and tales of scaling mountains and dropping three dress sizes – just an honest love of what Burn It Fitness has to offer and I would always encourage people to give it a try.